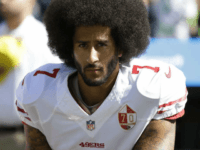 It’s been a long time since an NFL player has worn a shirt with the number seven and Colin Kaepernick’s name, to an NFL game. 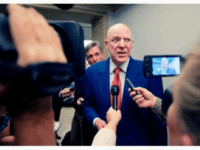 Houston Texans Owner Bob McNair passed away on Friday evening, he was 81 years old. Things went from bad to worse on Sunday, for a Redskins offense that was looking to find some consistency with their play. Now, the Redskins will have to search for that consistency without their starting quarterback. 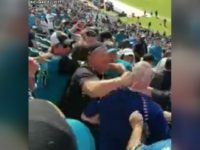 It wouldn’t be a Monday after a full-slate of NFL Sunday action, if there wasn’t a video of a fight between fans in the stands. The fans at yesterday’s Jaguars-Texans game, provided just such a moment. Along with death and taxes, fights at NFL joint practices are one of the other guarantees in life. 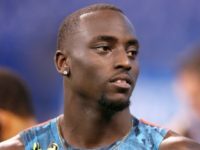 Earlier this week, the Redskins and Jets engaged in a wild brawl that spilled over into the fan seating area. 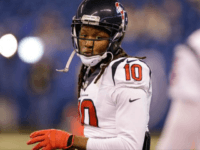 At the beginning of the month, President Donald Trump offered professional athletes protesting the National Anthem to share names of people they believed should be pardoned for their non-violent crimes, but Houston Texans wide receiver DeAndre Hopkins is not buying it. A former Houston Texans cheerleader claims that her cheer coach duct taped her stomach. Because she was deemed to be “skinny fat,” according to reports. 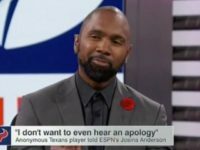 Five former Houston Texan cheerleaders have filed a lawsuit claiming that they suffered in a hostile work environment, and were paid unfair wages. 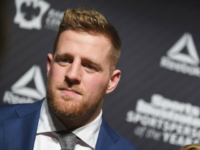 Houston Texans star J.J. Watt surprised everyone with a visit the victims of the Santa Fe high school shooting, reports say. 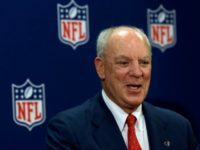 Houston Texans Owner Bob McNair does not regret using the expression “inmates running the prison,” when referencing the NFL anthem protests last year. However, he does regret apologizing for using that expression. 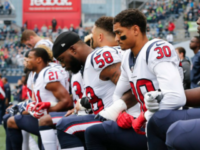 Texans Owner Bob McNair drew a lot of criticism last year, in part, for trying to stem the tide of ratings-killing anthem protests that dominated the headlines. 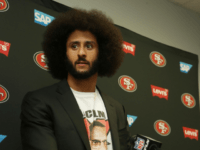 The question of why Colin Kaepernick was in Houston earlier this week, throwing a football around on camera for the first time in a very long time, has been answered. 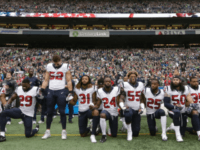 Will NFL Teams Shy Away from Free Agent Anthem-Kneelers for Box Office Reasons? 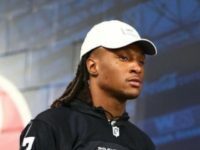 After the Kansas City Chiefs recently traded Marcus Peters to the Los Angeles Rams, the talented cornerback did an exclusive interview with NFL Network’s Michael Robinson. 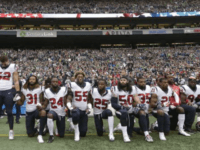 The Houston Texans are denying reports that they have an unwritten policy of refusing to sign new players who protested the national anthem. 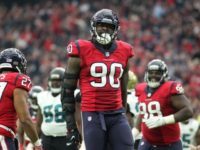 The Houston Texans are reportedly operating under an unspoken and unwritten rule, when evaluating potential free agents this offseason. 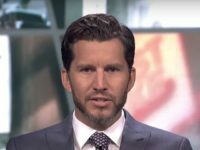 That unofficial rule appears to be: If he took a knee, he can’t be a Texan. 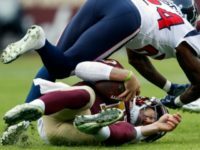 Houston Texans quarterback Deshaun Watson tore his ACL last week, and now team leadership is admitting that they briefly considered bringing original anthem protester Colin Kaepernick to Texas as a replacement. 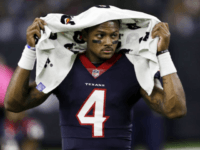 Texans quarterback Deshaun Watson sustained a season-ending knee injury in practice on Thursday, two people familiar with the situation told The Associated Press. 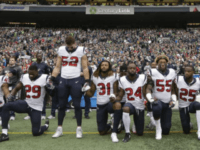 With the exception of the Houston Texans, NFL protests on Sunday were quite scaled down from where they were a few weeks ago. 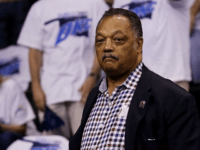 However, if the Reverend Jesse Jackson had his way, the protests would be on the increase. 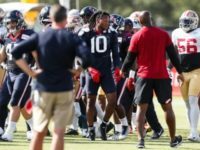 The Houston Texans wanted to protest on Friday by walking out of practice. 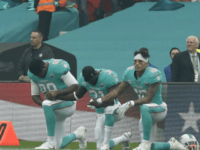 Instead, they waited until Sunday and staged one of the largest team anthem protests ever seen. 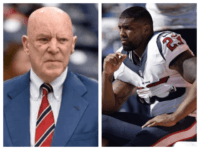 The Houston Texans, the same team which had to be persuaded to stay at practice on Friday after hearing that Owner Bob McNair had used the expression “inmates running the prison,” at a recent NFL meeting in New York. 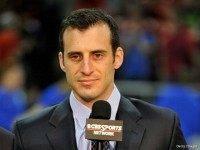 Will reportedly conduct a large team demonstration against the owner on Sunday in Seattle. 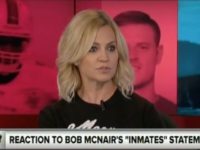 ESPN “SportsNation” co-host Michelle Beadle called for Houston Texans players to have “walkout” Friday after team owner Bob McNair reportedly botched the idiom “inmates running the asylum” by saying “inmates running the prison” when talking about the National Anthem kneelers.